PTR89 is a portable handheld thermal printer intended for use with the ACR89 (ACR89U-A1 and ACR89U-A2). It communicates with the ACR89 to print out receipts. 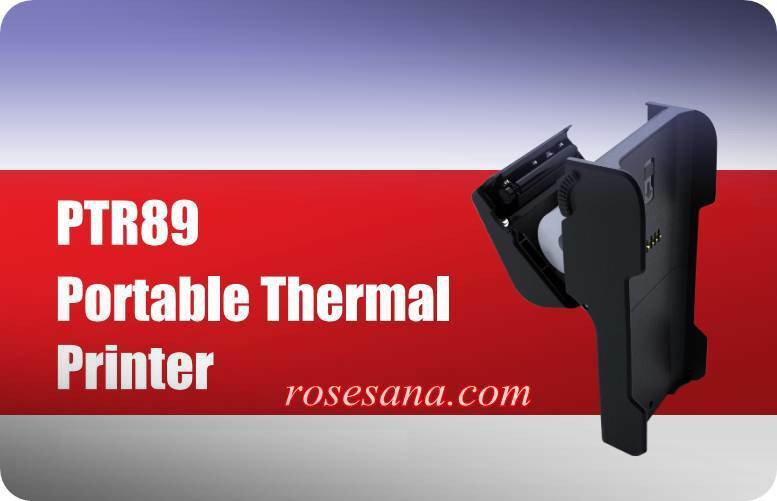 The PTR89 is an example of a thermal printer, which is currently in demand for different types of applications.PTR89 peripherals include an external power adapter, a lithium-ion battery and one thermal paper roll.To produce receipts, a roll of thermal paper is inserted into the slot between the thermal head and rubber roll. The printer sends an electric current to the heating elements of the thermal head that generates the heat. When heat is applied to the paper, the printer generates different colors for printing out text, symbols or pictures. No ink is necessary.The printer is durable, makes less noise and is easy to use. The PTR89's high-speed printing enables quick and convenient transactions. With special features and advanced performance in one package, it is ideal for on-the go and retail applications that provide receipts for customer reference. 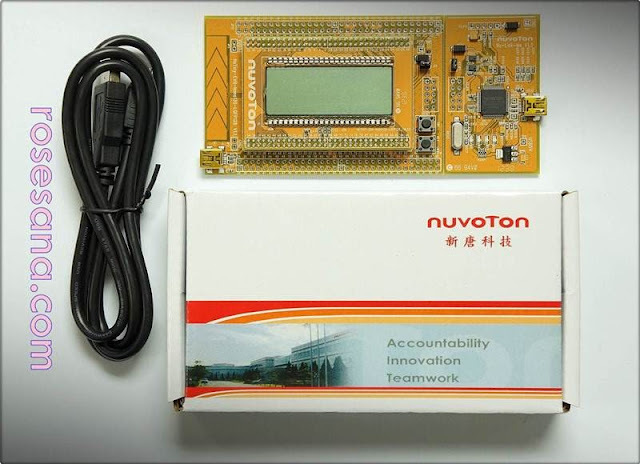 An external programmer for microcontroller family NuMicro from Nuvoton. This tool not only can be used to fill in the program code via the USB port (ICP), but can also be used for debugging by using Serial Wire interface (SWD). In addition, the ICP mode, the programmer can also fill program code into the target IC with 2 modes, namely offline (do not need a PC, the program code stored in the Nu-Link Pro) or online (requires a PC for loading program code). - Suitable for the circuit board with a working voltage of 1.8 V, 2.5 V, 3.3 V and 5V. - Available in PC program to help the data entry process. 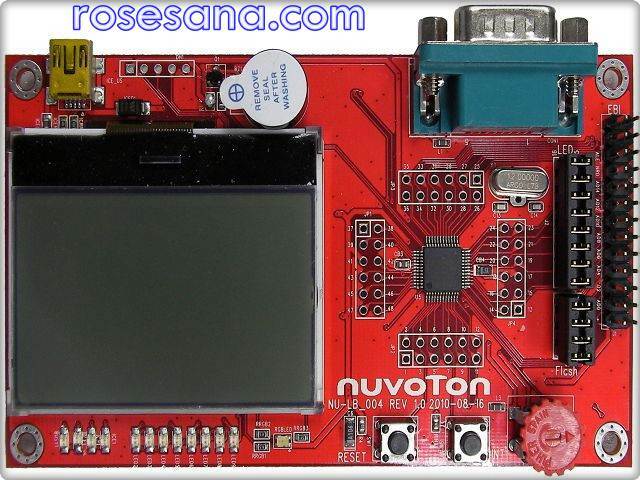 Development Board for microcontroller NUC140. The board fits in to the manufacture of prototype products using microcontroller NUC140. This board has been integrated with Nu-Link ME module for the charging process through the ICP program code. Concerning the programming language / compiler, this board can be programmed using the C programming language with the help of software EWARM IAR, Keil RVMDK, or CooCox CoIDE. - Integrated with NUC140 microcontroller. - Have a Programmer / Debugger internal (Nu-Link-Me). - Completion of the program code can be via USB ICP (Nu-Link-Me) or ISP (USB). Mini54LAN for microcontroller development board. This board can be used in the manufacture of prototype products using Mini54LAN through accessing microcontroller pin-pin I / O. 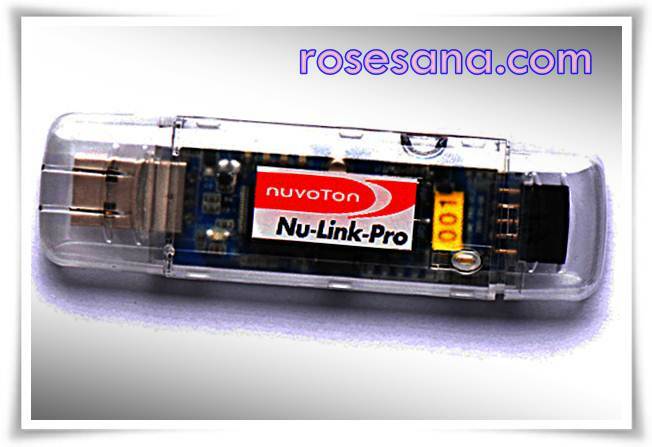 - It integrates with Nu-Link-Me so that you no longer need a programmer / debugger external. - Can be programmed using the C programming language and use compiler IAR, Keil, or CooCox CoIDE. Nano130 for microcontroller development board. This board can be used for the manufacture of prototype products in use Nano130 microcontroller with LCD information display through. - It has a range of I / O for LCD panel. 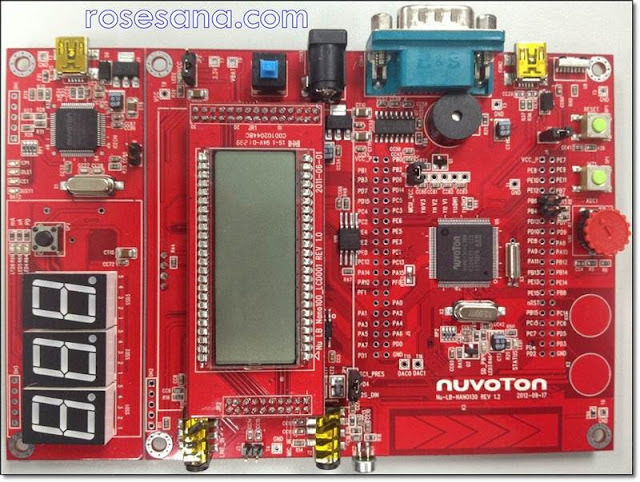 Learning board for microcontroller Nano130. Microcontroller is a 32-bit microcontroller that has diteringrasi with ARM Cortex-M0 with low power consumption. 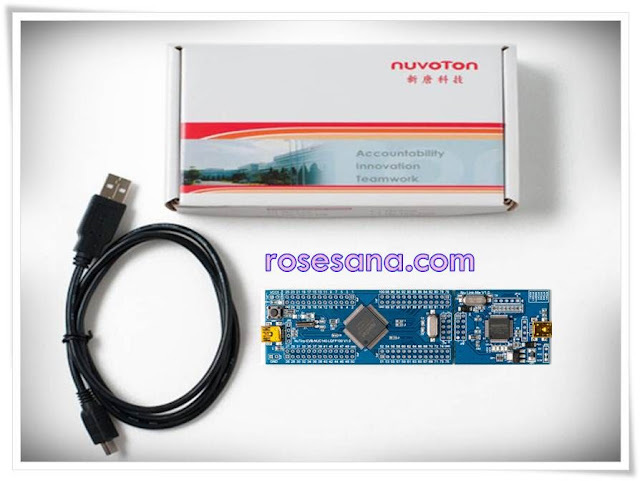 Board Nu-LB-Nano130 can be used to study media in use Nano130 microcontroller with LCD information display through the retention of data or serial communication to the PC. - It has a range of I / O for LCD panels, 7segment, LED, RGB LED, potentiometer, Switch, EEPROM, Flash Data, etc..
- Programming ISP (via bootloader) can only be used via the Serial port (DB-9). Learning board for microcontroller M0516LAN. 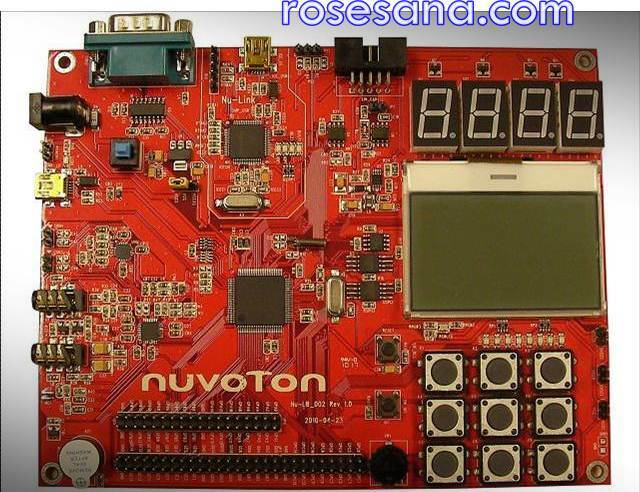 Microcontroller is a 32-bit microcontroller that has diteringrasi with ARM Cortex-M0. In addition, the microcontroller has a pin to pin compatible with 8051 microcontroller in general. 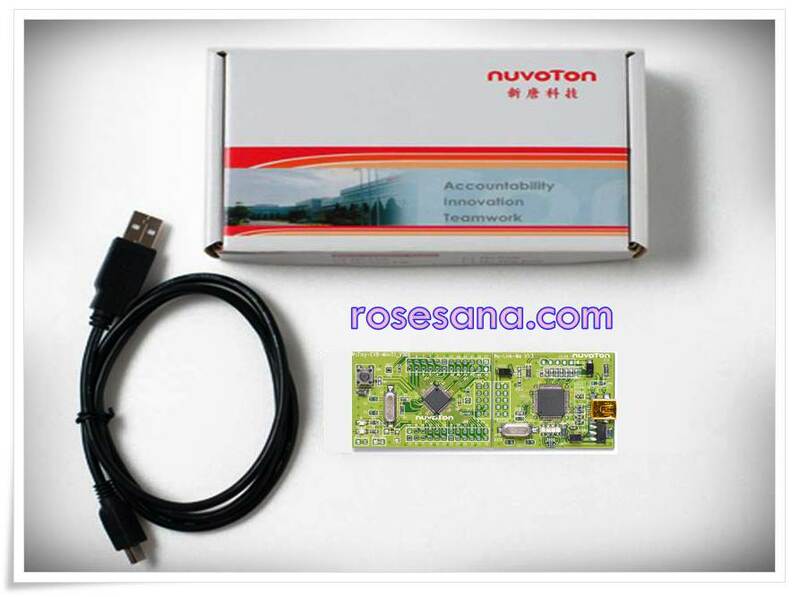 Board Nu-LB-M051 can be used to study media in use M0516LAN microcontroller with LCD information display through the retention of data or serial communication to the PC. - It has a range of I / O for LCD panels, LED, RGB LED, potentiometer, Switch, EEPROM, Flash Data, etc..
- Can be programmed using C language and use compiler IAR, Keil, or CooCox CoIDE. Learning Board for microcontroller NUC140. On this board has been provided by various types of I / O, such as LED, LCD, 7segment, Keypad, potentiometer, Audio input, Audio output, etc.. This board has been integrated with Nu-Link ME module for the charging process through the ICP program code. Concerning the programming language / compiler, this board can be programmed by using the C programming language with the help of software EWARM IAR, Keil RVMDK, or CooCox CoIDE. - Completion of the program code can be via ICP (Nu-Link-Me) or ISP (USB/DB-9). - It has a range of external I / O 7segment, LCD panel, EEPROM, Flash Data, matrix keypad, WAU8822 Audio Codec, Potentiometers, etc..